Bride Wenjie shares her Atlanta wedding at the Fernbank Museum of Natural History with us! Please meet Wenjie, our lovely bride for today! And y’all, I can totally relate to the hardest part of wedding planning for her. She said, “The big choices (venue, caterer, dress, etc.) were easy, but the hundreds of small details were the hardest part about planning.” I can definitely see why their venue was easy! She and her sweet groom Futhum instantly fell in love with the natural lighting, high ceilings, and dinosaurs (!) on their initial tour of Fernbank Museum of Natural History. It provided the unique and one-of-a-kind experience they were hoping to show guests. Another unique experience I’m sure their guests loved? Wenjie and Futhum incorporated their respective Chinese and Eritrean cultures into their wedding day. This even included teaching guests traditional Eritrean wedding dances, something I’m sure won’t be easily forgotten! Thanks to Elle Golden for sharing Wenjie and Futhum’s sweet Georgia day with us! Tell us the highlights of finding your wedding dress. I was #asentimentalbride! I loved the process of finding my dress at The Sentimentalist in Atlanta. It is the cutest bridal shop in little white house instead of in a mall or giant shopping center. The staff was super sweet and helpful and they had an amazing selection of designer and vintage dresses. They had a wide array of dresses including a stunning, fully beaded gown. It wasn’t the right dress for our wedding, but it was fun to try on! With the help of the staff and my bridesmaids, I found the perfect Nicole Miller gown on my first visit. What was the hardest part about planning your wedding? The big choices (venue, caterer, dress, etc.) were easy, but the hundreds of small details were the hardest part about planning. It was difficult to foresee how it would all come together or how one small choice could affect the overall design (an ivory tablecloth vs. a slightly different shade of white). Luckily our wedding planner helped us navigate these options and even made some of the decisions for us. Did you decide to do a first look? Yes! We wanted to have a private moment to share before all the guests arrived. It also took away some of our nerves and added to our excitement for the ceremony. Tell us all about the proposal! We have known each other since high school. When the Georgia Aquarium first opened, Futhum bought me and my best friend tickets for Christmas. I thought it was a really thoughtful present, and he thought it was our first date. Luckily we still stayed close friends (and eventually dated). Ten years later, he surprised me with tickets to the aquarium again. This time, he took me on a special tour where we were able to swim with the whale sharks and sting rays. Afterwards, he took me to my favorite restaurant (Makan, where we later had our rehearsal dinner) and proposed! At the last minute, Futhum asked a groomsmen to bring our dog, Roger, to the venue. He took the best pictures and stole the show! What was one way you saved money or cut costs at your wedding? We were originally thinking about having a larger wedding, closer to 300 guests. As we began planning, we agreed that we wanted to invite close family and friends so that when we both look into the crowd during the ceremony we would only see familiar faces. We also invited the Obamas who were not able to attend so we really saved on security costs! They did send a nice card that is now framed in our house. We did not write our own vows, but our officiant interviewed us and incorporated our responses into the ceremony. I talked to him about how much I appreciate Futhum’s openness to trying new and exotic Chinese foods. We’re pretty sure we had the only wedding ceremony to ever mention chicken feet and stinky tofu. Additionally, my dad wrote us a poem and read it at the ceremony in both Mandarin and English. There definitely was not a dry eye in the house, including Futhum’s, which was the first time I’ve seen him cry in 15 years. We had a brief private moment after the ceremony while our guests were enjoying cocktail hour. Our caterer brought us champagne and hors d’oeuvres. It was amazing to be able to celebrate our marriage just the two of us and take a deep breath before jumping into the reception. We knew we wanted to get married in the city of Atlanta and Fernbank Museum of Natural History was one of the first venues that came up in our search. We instantly fell in love with the amazing natural lighting, high ceilings, and dinosaurs on our initial tour. We also knew this would be a unique and one-of-a-kind location and experience. What advice would you give to someone currently planning a wedding? Hire a planner! It really took the stress out of wedding planning. Even though it is an extra cost, it is well worth it and your planner will help save costs elsewhere. Create the type of wedding that you would want to go to! Remember that it is a day for BOTH of you and include the groom in the planning. What was your favorite detail from your wedding? While we planned our wedding in a more American tradition, we included small touches from our own cultures (Chinese and Eritrean). Our favors were in Chinese silk pouches and included samples of Chinese green tea and Eritrean coffee which are both very important in our culture. We also played a few Eritrean wedding songs and had a blast teaching all of our guests the traditional dances. What was Southern about your wedding? It was hot! We did not incorporate many traditional Southern aspects into our wedding, but our wedding definitely demonstrated Southern hospitality. We had guests from literally all over the world from different backgrounds and cultures. We were so happy seeing all of our guests welcoming each other and becoming friends as the night went on. When did y’all get married? August 6, 2016. How many friends, family members, and loved ones attended your wedding? 150. If you are comfortable responding, what range did your wedding budget fall into? $50,000-$75,000. What did you serve for your wedding cake or dessert? We served a red velvet wedding cake from Sweet Hut Bakery. Sweet Hut is one of our favorite restaurants, and we love their Asian-style cakes, because the frosting is very light and subtly sweet. I guess our guests enjoyed it too, because it was devoured in a few minutes and we heard people were fighting over seconds. What was your favorite thing about wedding planning? Our wedding planner! 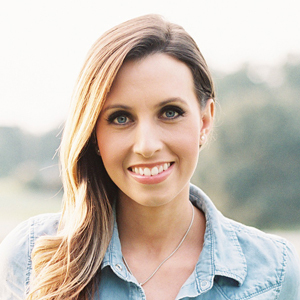 Whitney from Whitewood Events made wedding planning a breeze. We nicknamed her our magical wedding fairy because she made sure everything was perfect and even anticipated our needs. The cake and catering tastings were a favorite too! The details of your wedding day sound amazing! I bet the wedding cake was amazing too! Red velvet cake is always a crowd pleaser! Refreshing and airy. Thank you for sharing! Thanks for sharing, great pictures and wonderful insight on having a southern wedding. I had a question regarding the time of the ceremony, cocktail hour and reception at the Fernbank Museum.